One thing a lot of indie musicians procrastinate on is tackling their email list strategy. There are lots of things you need to get your head around, from which platform or service to use, to what content to include, to how often to send emails. On top of that, you also need to figure out how to get people to actually sign up for your email list – a marketing role that many musicians are uncomfortable with. Despite all this, your email list is still one of the most powerful assets you have. I’ll break it down into 5 main points so you can easily update your email list and email marketing strategy. If you don’t already have one set up, you’ll have to choose a platform to send your emails out. If you try sending out an email to hundreds of fans through services like Yahoo and Gmail, it will often get marked as spam or won’t even go through. You can, of course, opt for generic platforms like Mailchimp or Constant Contact. Keep in mind though that many services you already use have email functions like Pledgemusic, Bandzoogle, and Fanbridge. 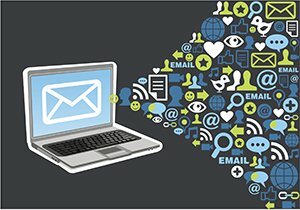 Now that you have email capabilities, the next step would be to actually get people to sign up for your email list. Of course, you’ll want to add an email button to your website. You’ll definitely get some signups from it, but it’s a very passive approach. Take some time to brainstorm some strategies to incentivize signups. Think about the email lists you’ve signed up for – what made you subscribe? There are many options here, and the more creative you can be, the better! Offer your fans a free track in exchange for an email address. This is a great way to get newer fans on your list. You could also offer early access to a track from your upcoming album to get your more dedicated fans signed up. Another option would be to give your email subscribers access to early content across the board and even some exclusive discounts, contests, and promotions. The key is to really take into account your unique brand, genre, and personality! The beautiful thing about your email list is that it’s opt-in marketing. This means that the people who sign up for your list actually want to hear from you. It’s your job to make it worth their while and come up with interesting things to write to them about! Look at the emails you get from artists and bands. What emails do you like receiving? What subject lines get you to actually look at the content? Try to incorporate those things into your email strategy. The main function of your email list is to drive traffic. You want your fans clicking through to your website! Taking this into account, don’t compose your band emails like you would a personal email. Tell your fans about the offer with a link to your website or give them a short update on the album process with a link to the full story on your blog. Treat your email list as something completely separate from your social media channels and website. You want to give your fans a unique experience. If they could get the same content on Facebook, why bother signing up? Of course you’ll have to send out some updates across all channels like tour announcements, but try to go further for your email list. Give your email subscribers discounted tickets, early access to VIP packages, or even a sneak peak at the set list! Another great way to provide compelling content is to segment your list. Break it down by location so you’re only sending local fans blasts about your show tomorrow. This way, your fans will only receive relevant content which will help keep your unsubscribe rate low. You want to establish a schedule when it comes to email marketing. Not only will this keep you organized, it will also help keep fans’ interest levels up and your unsubscribe rate down. Keeping your fans updated is one thing, but too many updates can get annoying. You no doubt know from experience just how many emails we all receive. Only send your fans emails when you have something valuable to share. For more established bands this could mean once a week and for smaller bands it could be once every two weeks or even once a month. On the other side of the equation, you don’t want too much time in between your emails or your fans will forget you exist! As with any strategy, the most important thing is that you learn and improve as you go along. Any platform you use for email will have some sort of analytics tools. Use them! The most important metrics are your open rates and click-through rates. Open rate is mostly dependant on the subject line, day of the week, and time of day, while click-through rate has more to do with the content. Look at the emails that got the highest open rate. What day of the week did you send them? What about that subject line do you think attracted people? How can you incorporate that into your subject lines from here on? Next, look at the emails that got the highest click-through rate. What about the content do you think got people interested? Again, try to incorporate that into future emails. You should also look at emails that didn’t perform as well as you’d like. How can you tweak the offer to make it more appealing? TheNew Artist Modelis an online music business school for independent musicians, performers, recording artists, producers, managers and songwriters. Our classes teach essential music business and marketing skills that will take you from creativity to commerce while maximizing your chances for success. In Your opinion, would it be appropriate to ask your fans for a feedback on the content you send them via e-mail, or on your social media posts, and give them something away in exchange (again some discount or VIP access,etc.)? I think it’s a great idea to ask your fans what they would like to receive you from. In doing so you’ll know exactly what they want to see and you’ll get traction. I had a friend do this and t was very helpful for him.